That it does not recognize and will not accept any payments made under these two Programs by Bitcoin or Cryptocurrency. The Citizenship Commission reiterates that the oath of allegiance made by the applicant (and spouse) under these two programs should be in physical presence of a Commissioner for Oaths as prescribed by its Act. Any oath taking through digital media (such as video conference) cannot be accepted under the current legislation. Dress in a decent manner and in official wear prior to accessing any PMO Offices. Those who are dressed with short trousers and wear caps are not allowed access to the PMO. The public is not allowed to use the lift or circulate in the corridor of our respective offices. Customers and clients must have prior appointments before they can ask to have access to the compound, or to see anyone working in the PMO. A security log book will be given to our sentry officers to monitor the movement of people and appointments. With the exception of Ministers, VIP and G vehicles as well as all private vehicles that do not belong to PMO staff, are not allowed to park in the Compound. Only authorized vehicle are allowed to enter the compound. Smoking is forbidden in the compound and office corridors. We will deny access to Citizenship customers if they do not comply with the regulations stated above. The Vanuatu government has decided to lift the suspension of the Capital Investment Immigration Plan(CIIP) as of 21 March 2016. The Citizenship Act has been amendended once in 2013 and twice in 2014. More insights on the amendments are provided by the attachments under Legislative Framework. Interestingly, as per the amendments Vanuatu now recognises DUAL CITIZENSHIP. This practically means that a citizen of Vanuatu or of a state of other than Vanuatu may be granted dual citizenship. The Citizenship Applications’ Fees and the actual Citizenship (Certificate) Fees have also been changed. [Please refer to the table of 'Fees and Charges' under Citizenship]. The Vanuatu Citizenship Application Forms have been recently systematically changed by being numbered. Hence, the true copy of Vanuatu Citizenship Application Forms can only be provided by the Citizenship Office directly to the applicants or consultants or any approved person who collects or processes the citizenship on behalf of the person wishing to get Vanuatu citizenship. Due to the previous illegal and unreasonable activities by individuals, the current established Commission has revoked around almost 30 citizenships that were granted contrary to the Provisions of the Citizenship Act [Cap 112] and the national Constitution. While there is more suspicion of revocations, the Citizenship Office/Commission ensures that all applicants must apply in a proper process and in accordance with the provisions of the Citizenship Act and Constitution. 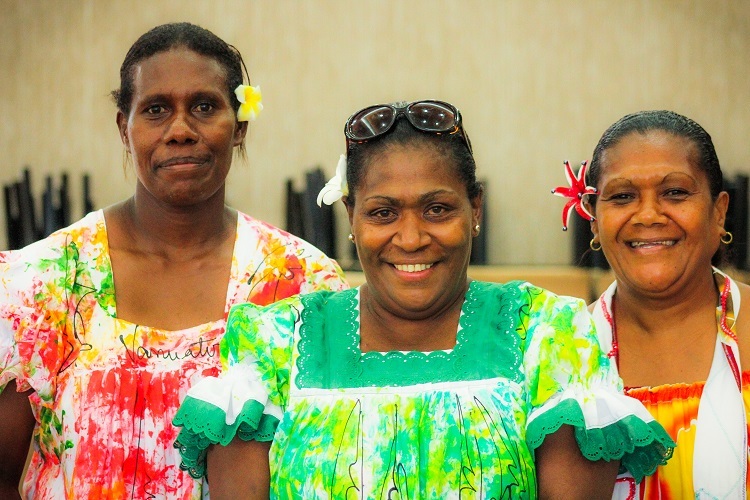 Welcome to the Website of the Citizenship’s Office and Commission of Vanuatu! Welcome to the home page of Citizenship’s Office and Commission (COC). As you peruse the various information on our website, you will be provided with insight on the Establishment of the COC, its organisational Structure, Location and Contact, Role, Vision, Mission, and Values, News & Updates, Legislative Framework, Types of Citizenship, Various Citizenship Application Forms, Application process, Revocation and Renunciation of Vanuatu citizenship, and other related matters. We are happy to assist you anytime within our working hours with any enquiries you may have. Copyright © 2015. Government of the Republic of Vanuatu.